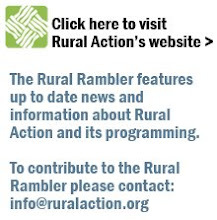 The Rural Rambler: Calling all Cameras - The 2010 Leading Creek Photo Contest Starts.....Now! Calling all Cameras - The 2010 Leading Creek Photo Contest Starts.....Now! Rural Action's sister watershed, the Leading Creek Watershed Group is now holding their annual photo contest and calling on all Meigs County residents to capture The Power of Water! As the theme for this year's contest, The Power of Water must be the focus of your artistic aperture as you roam the wooded hills and peaceful dales of beautiful Meigs County. Co-sponsored by the Meigs Soil and Water Conservation District, all photos must be taken within Meigs county and...what, your artistic fires burning already? Well get out there and snap some shots, but make sure you read on for all the rules and most importantly, don't forget the lens cap! 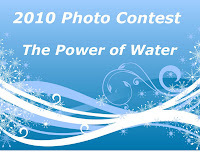 The Meigs SWCD and the Leading Creek Watershed Group are now accepting entries for our sixth amateur photo contest with the 2010 theme being "The Power of Water." This contest is open to Meigs County residents of all ages, but photos must be taken within Meigs County and relate to the theme. The top five photos will be selected for award, with cash prizes going to the first, second, and third place finishers. You can find the entry form and rules at the Leading Creek website HERE and have until April 2nd to enter your images for the contest. Winners will be announced at the Annual Leading Creek Stream Sweep, which will take place on Saturday, April 17 at 9am at the Jim Vennari Park in Rutland. The SWCD looks forward to seeing your photos showing the power of water in Meigs County!